Steamworld Dig is the latest enhanced port for the Nintendo Switch from Image & Form Games. Following hot on the heels of Steamworld Heist: Ultimate Edition, it is another fine example of engaging gameplay and quirky robots. 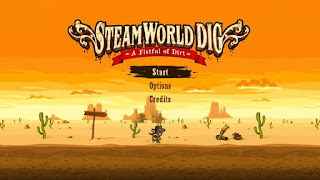 Steamworld Dig was actually the second game that I purchased on 3ds eShop, after Gunman Clive, but it would have actually been the first if I weren't so broke at the time from buying my 3ds with Luigi's Mansion Dark Moon . I immediately fell in love with the exploration aspect, and the premise of mining resources for upgrades along the way. I spent hours getting lost in the randomly generated mine below Tumbleton. There were even a few times where I felt that I had dug myself into a corner and had to start over, but each playthrough was just as fun as the previous one, and kept me coming back for more. Considering this, imagine my delight when I saw the announcement of a Switch port! 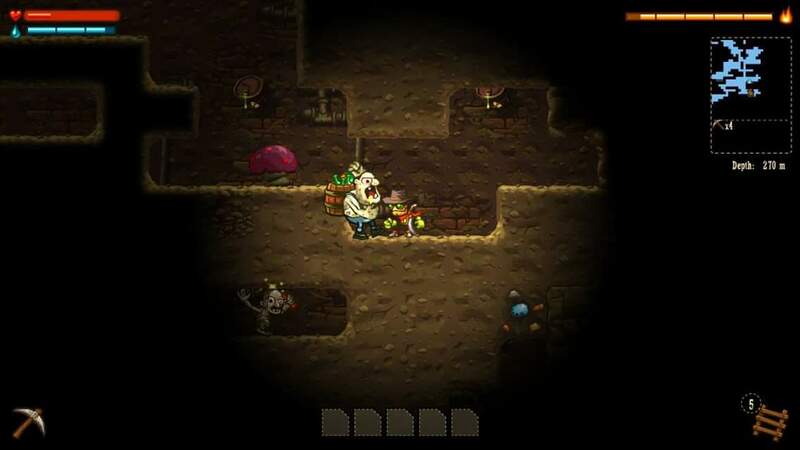 Even with the phenomenal sequel Steamworld Dig 2 being released already on the Switch, I was more than happy to dive back under the surface with Rusty. So, since I'm already taking a trip down memory lane, I'll go back a little further. 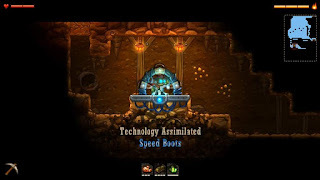 While Steamworld Dig is an innovative and imaginative game, it's not the first of it's genre that u have played. Before Steamworld Dig, before the 3ds, I owned an Xbox360, and because I was a cheap gamer, I started to dig through the Xbox live arcade to fill up my library, particularly the indie section populated by games developed for the system and able to be purchased with Xbox live credits. This began my odyssey with the indie scene in the modern era, and it all began with an 80 credit ($1 in real money) purchase known as Miner Dig Deep. 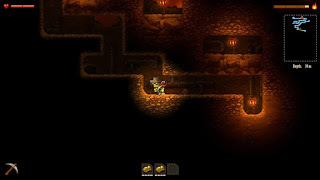 There was a similar core gameplay experience to be found- you used a pickaxe to dig through the ground and recover resources that could in turn be exchanged for upgrades that enabled you to dig deeper yet. It was a simple idea, but incredibly addictive. However, much like how Steamworld Dig 2 expanded upon the original in every way, Steamworld Dig: A Fistful of Dirt did the same for Miner Dig Deep. While not a successor to the small project built mostly by a two man team, I always felt like Image & Form took the idea and just ran with it in the best possible direction. 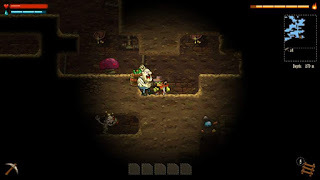 I had even played another take on the Miner Dig Deep formula, and reviewed it over at 3rd-strike.com, a PC indie game known as Full Bore. 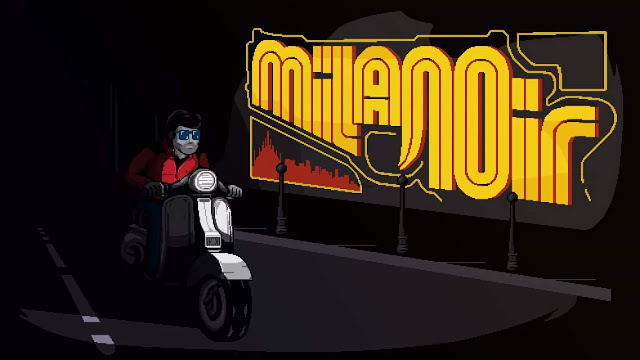 A game that had an interesting story and some political statements to be made, and some satisfying puzzles, but unrefined controls. However, I'm not here to talk about that, and you're here to read about Steamworld Dig on the Switch. Has the game aged well, even in the wake of the improved sequel? Read on! 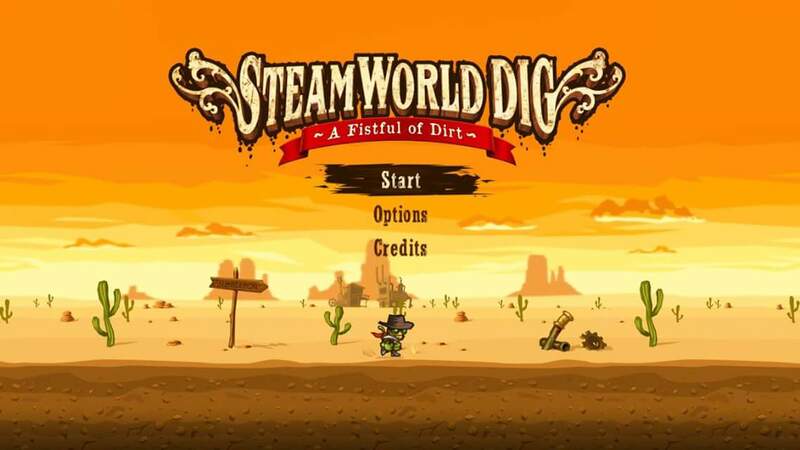 Steamworld Dig begins with Rusty making his way to Tumbleton to investigate the mine that his uncle has left him. Unfortunately for our hero, he has never been much of a miner, and he discovers a local steambot by the name of Dorothy working his new mine. Fortunately, though, Dorothy is very congenial and guides Rusty into his new career. He finds his first pickaxe and is tasked with finding a way out of the mine for both of them. After this, we return topside to find out that Dorothy is the steambot that will be buying our precious ore from us, and her father, Hank "Cranky" McCrank will be selling Rusty provisions and upgrades as he earns more cash and unlocks them. The gameplay is simple, but addicting, and comes with a host of tight controls that allow Rusty to seamlessly break through the dirt, and eventually other materials that block our path. When Rusty earns his first $8, we are prompted to return to Tumbleton, where we buy our first upgraded pickaxe, which allows us to conquer the rock below, and a tempting tale about how Rusty's uncle had discovered caves down below, and that we should explore them to get a better idea about what exactly his uncle was up to down there. Turns out, a lot of what his uncle was up to involves technology that upgrades Rusty when he stands on the platforms. These provide your bodily upgrades. If it's something that enhances Rusty's abilities, you'll need to find a new upgrade station. If you want to improve Rusty's health, water capacity, or pickaxe, you'll have to earn enough currency to buy those. There are lots of caves to explore, and more important ones are labeled with painted Roman numerals. Some of the caves contain interesting and fun environmental puzzles. 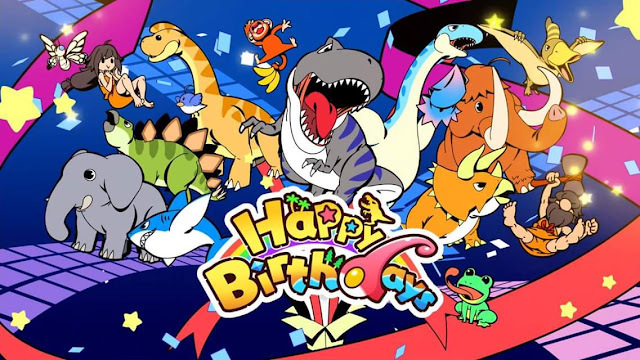 As was the case with the sequel, the game has a bright color palette that makes a world populated by sand, rock, and dirt cheerful and appealing. The different value gems all have a unique design and color that makes them easier to distinguish between, and when you die or self destruct, your lost loot is left behind in a cartoonish canvas sack that is easy to find upon your return. The music is evocative of old westerns, and the sound design is phenomenal. Again, as with Steamworld Heist, I do wish that they has added HD rumble into the game, but I understand that adding a feature like that throughout the whole game would have required a lot of time, and Image & Form is probably hard at work on their next game. One can always hold out hope for a future update that brings it in, though.